Consultation was sought on what to do with the ESB ecar's Electric Vehicle charger network as ESB's contract with the Commission for Energy Regulation has expired. UPDATE 31/01/2017: Expected decision paper due Q2 2017, per post on https://www.boards.ie/b/thread/2057659183/8? To give background on my comments, they come from the perspective as a member of the public who would aim to purchase an electric vehicle as sole vehicle for the household, and also my comments are from a Chartered Electrical Engineer's perspective, from having limited experience with infrastructure for fuel filling stations, from working on the NRA Motorway Services Area tranche 1 project (M1 x 4 & M4 x 2 stations). a) The CER requests respondents’ views on the ESB eCars proposal regarding funding in relation to the additional expenditure on the trial. I do not offer any specific comment here, save for the opinion that whatever is decided (e.g. ESBN granted funding, or not) I would be wary about a precedent being set that jeopardises future capital investment in Ireland's EV charging network. E.g. 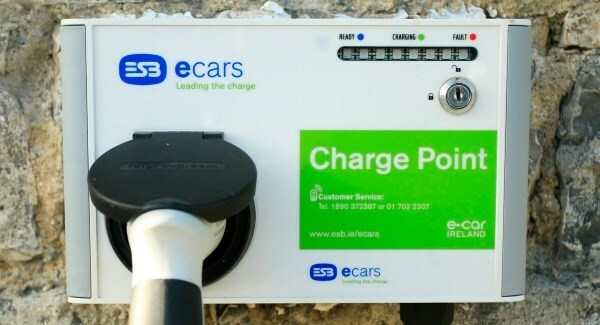 should ESB eCars be granted the assets to operate, it should not be an expectation that the only means by which capital investment can be raised shall be via exchequer derived funds - the revenue derived from operating the EV charge points should also be suitable for continued investment. To take a parallel in Ireland, the present situation whereby Irish Rail effectively have their operational costs paid for from ticket revenue, and any investment comes from the exchequer represents a weakness to future investment (see table of costs in the second file on https://www.nationaltransport.ie/public-transport-services/fares/fares-determinations/). This will be a difficult cycle to break e.g. if Irish Rail tickets were increased to reflect the actual cost of both OpEx and CapEx for continued investment, the sharp contrast with the present charges would discourage many customers from using the service at all. This situation should not be mirrored in the EV charger network, even if in the short term the low user base of circa 2000 suddenly have to pay the real cost of their charging services. a) Do you agree with the CER’s objectives for EV policy? b) Are there other objectives the CER should consider? 1. Quality of Service experienced by the end user. A barrier to adoption of EVs for many is that one must rely on a third party for charging, more frequently than experienced with traditional internal combustion engines. The ICE refuelling network is well developed and can cope with the fleet of vehicles on the road at present with a high Quality of Service (e.g. no appreciable waiting time for a pump & quick delivery of fuel). Whilst a certain degree of recharge time is acceptable by the public (e.g. 30 minutes), from a user's perspective, having to queue for a charger until the customer in front is finished would be discouragingly frustrating, when one also considers the longer "refueling" time on top. Also, there is a concern of uncertainty as to whether the charge point is operational or out of service. Compounded by the fact that one may not have an alternative to recharge the vehicle at, due to low remaining battery charge being insufficient to drive to another charging point. A private enterprise, bearing in mind that their customers are "captive" in the sense that they have no alternative by which to recharge their vehicle, may be less inclined to provide additonal charging stations to reduce wait time or provide redundancy, as they know that the customer will have no choice but to wait in order to recharge their vehicle. And so, the private enterprise can achieve the same revenue without any additional capital investment. Accordingly, I propose that some form of Quality of Service be considered in the objectives by CER, be that by way of density of EV charge points per km of M road, or some other appropriate metric. The CER's second objective ( Ensuring the EV charging service is appropriately operated and maintained) goes some way towards my intent by mentioning "appropriately operated" however it does not give any reassurance that it will result in a high quality of service to the user. Whilst I do accept ESB eCars point "Over the longer term, the extension of vehicle battery range will further reduce reliance upon publicly accessible charging – resulting in a higher proportion of journeys that can be completed based on home charging only." the peak demand needs of users in a motorway service station on a bank holiday should be considered, regardless of greater battery capacity in the EV fleet. The risk of not implementing a Quality of Service objective is that it will discourage the next wave of EV adopters from buying into the concept of EVs, and so the decarbonisation goal. 2. Use of renewable power supply in order to actually achieve the broader aims of EU wide EV policy around decarbonisation etc. 3. Ensure sustainability in a financial sense with respect to OpEx and CapEx for the EV charger network, per the above justification. c) Do you consider conditions should be attached to the ownership of the assets? If so, what kind of conditions should be added? I believe some conditions should. 2. Requirement to utilise renewable energy, so as to achieve overall goal of decarbonisation. 3. Provide a form of open access to the backend IT systems such as billing and "Digital tools to provide “real time” charger status data to drivers", so that competing EV charger providers can present a similar usability to customers that is seamless. Similar to how the Leap card in Dublin works on many public transport providers, be they public or private. As ESB note in their submission. And a form of revenue sharing thereafter between both parties, similar to how a soft drink machine is provided in public spaces. This could ease the experience for users when parking is provided as part of the charging services e.g. by local authorities or commercial car park operators/apartment landlords - one swipe, and both charging and parking is paid for. From limited experience in the design of some refueling stations, I have been anecdotally advised that the revenue from fuel sales is minimal - the actual revenue arises from ancillary services such as convenience store sales. This "eco system" of complementary businesses "car charging & convenience store or parking" could provide good investment in the EV charging network. And would address the concern ESB eCars note about socialising the full investment costs for new EV chargers on a small userbase (a punitive cost). Note per my condition 1 above about Quality of Service, if a third party (e.g. a restaurant) benefitted by having the customer wait longer (e.g. by customer buying more food while waiting), they should also lose out on their share of the revenue from EV chargers, and should be inventivised to invest in order to maintain Quality of Service. Additionally, in a practical sense, this would enable installation of the EV chargers around the country, upstream of customer's revenue meters, so can occur without too much hassle to cistmer's internal electrical networks. 5. Simplicity of charging for tourists / those that do not have an account with an electricity supplier. Could be achieved with point of sale credit / debit card transactions. 6. Clarity of pricing per charge-up, which should be consistent around the country e.g. a demand charge and consumption charge. Fragmentation of costs could be very unsettling for users. a) Do you agree with the ESB eCars proposed four options? Yes, however I note that their 4th option of no regulation would not be optimal. b) Are there other ownership models the CER should consider? I cannot think of same. c) What is your recommended option? Option 4, with conditions per above. As a general note, it appears that ESB eCars have the drive and ambition to provide a high quality system, based on their experience to date, for which they should be lauded. I suspect this is not fully altruistic (e.g. they would expect to achieve a positive income from the EV charger network, and the experience gained can surely be monetised internationally) however in context that they are a semi state company, which pays a dividend to the exchequer, and has a long heritage of providing a high quality service to the Irish public, I have no doubt they can continue to do so on the EV charging network. d) Under your recommended option how would CER ensure that the current value of the assets is adequately reflected? I can't give to great advice on this, however their potential future income if the full CapEx & OpEx costs are considered should form part of the consideration.